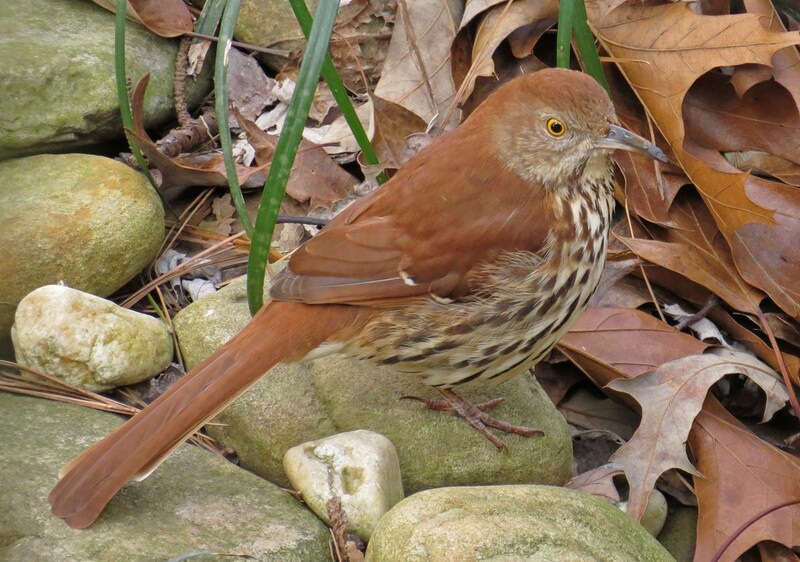 The other day, I was entertained by the antics of a Brown Thrasher who was hanging about in my backyard. 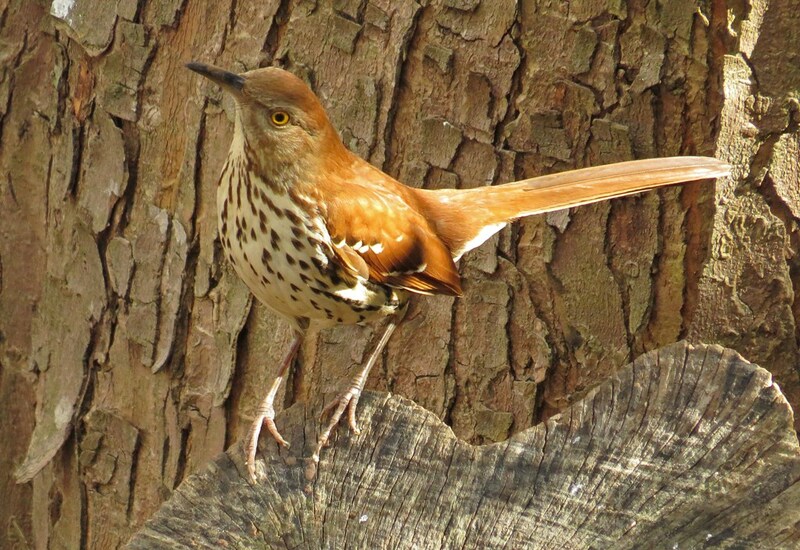 When I first noticed him, he was standing on a stump, eyeing the feeder hanging six feet over his head. After a bit of contemplation, he swooped up into the air, chiseled off a chunk of Bark Butter, then landed in the mulch to eat it. 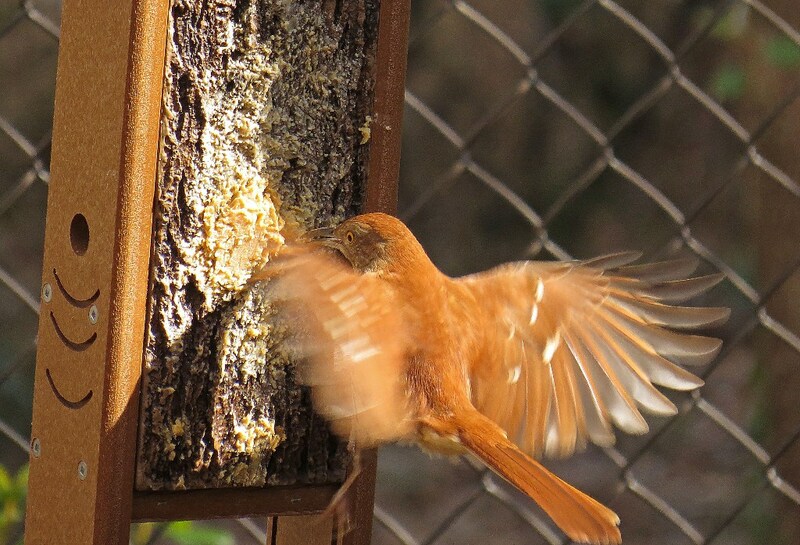 He could have chosen to cling to the side of the feeder, but these birds prefer to eat on the ground. 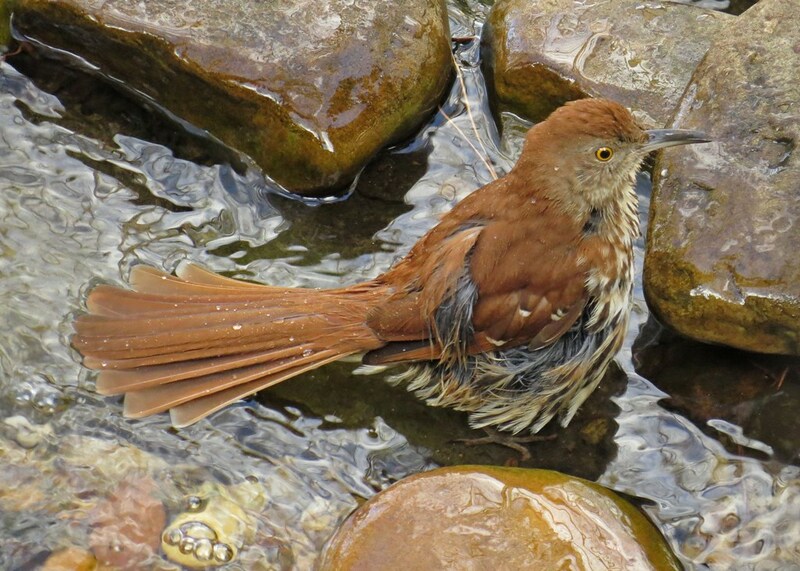 After several beakfuls of food, he perched on the edge of the birdbath and helped himself to a refreshing drink. 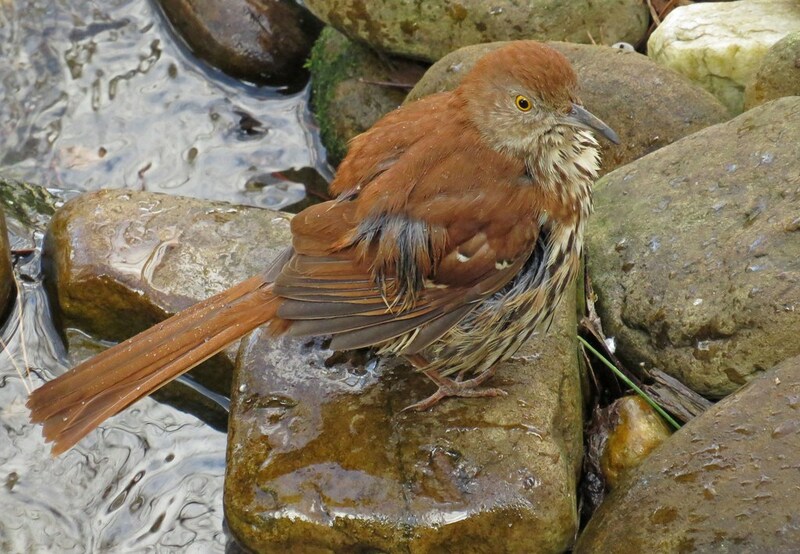 Before long, he was immersed in the water, enjoying a luxurious soaking. I love the richness of his cream and copper colors. When he finally emerged, his feathers were poofed and ruffled from his cleaning, but his beak still sported a spot of mud. I could sit and watch this fellow all day long and never get the slightest bit bored! This entry was posted in Backyard Birds and tagged beauty, bird watching, birds, nature, photography, thrashers, wildlife, writing. Bookmark the permalink. very nice photographs and beautiful bird!! 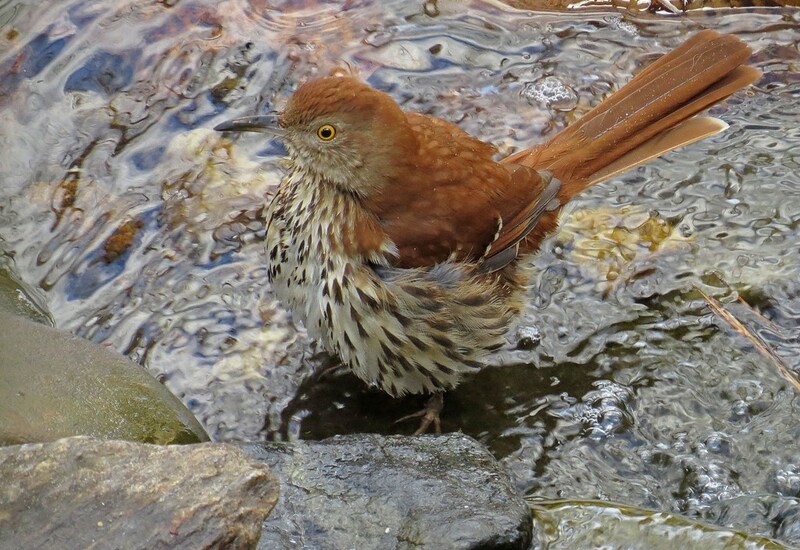 Never saw this bird, beautiful! great photographs was well! Birds out the window sure do make it difficult to get things done! Even with our sub-zero temps and snow and wind, they have kept me entertained! Wonderful photos of a beautiful bird. God sure has blessed us with these wonderful feathered creatures!